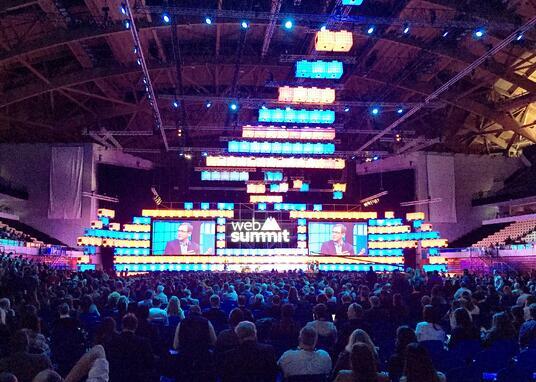 2016's Web Summit has wrapped up, but there is a lot to take in. We're flying back from the Web Summit in Lisbon trying to digest everything we've seen and heard over the last few days. To give you an idea of the essence of this year's Web Summit, here is a super-distilled list of five top pointers from hundreds of keynotes and over 50,000 digital professionals giving demonstrating and presenting their solutions, and just chatting in the corridors. Analytics and predictive methodologies failed everyone badly. The unforeseen result of the American presidential election was no 1 topic of the day 2 in Lisbon. Even in our very US-centric industry, not many of us saw - or wanted to see - that Trump is coming. As an industry, working so closely with customer expectations and trying to understand and serve consumer needs, we should study this failure very closely. AR and VR that were all over the place last years have already become just another tools in delivering a great customer experience; and in that discussion, AI is the thing to look at now. Using AI in the right way might very well be just the thing we need to (finally) turn marketing contextually relevant and to feel like service. Digital is disappearing. Everything is already so digital that the big D is not worth mentioning anymore. Predictions were even heard that now that all the major management consultancies have their own digital arm: (Accenture Interactive, Deloitte Digital, Digital McKinsey etc), they will soon merge them into the mothership - since, after all, all business is digital. Build on platforms. No matter if it's Facebook or Adobe, the industry behemoths are so deeply rooted into everything that as a small developer it's better to develop your solutions on top of them, not starting to code things from the scratch. Whether it's a driverless car (robot) or a hotel's night courier robot, they are here sooner than we think. The digital industry is already thinking if it's ethical or not to build them look like humans or not and how they should be treated etchically. What do you think next years will bring? Something else you heard? Join the conversation.